At Alcides we have created a family-friendly environment, with an attention to personalized service and unquestionable quality. Since November 2012, this level of commitment has helped us obtain the ISO 9001/2008 Quality Management System certificate, demonstrating our ability to consistently provide a product that meets our customers’ needs for satisfaction and quality, in addition to exceeding applicable statutory and regulatory requirements. 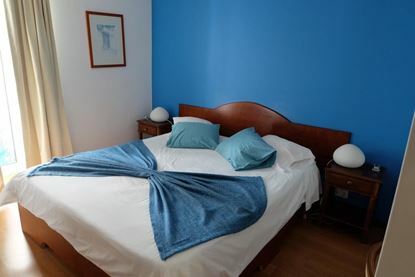 Our Hotel has 19 attractively-decorated rooms, equipped with ensuite bathrooms, air conditioning, cable TV, telephone (with direct outside lines) and Free WiFi is available in all rooms. 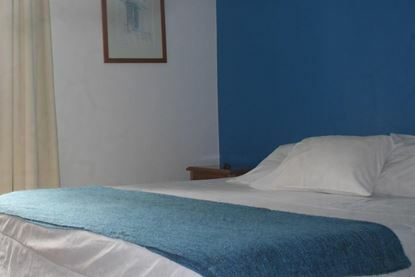 The hotel also offers a laundry service, access to all floors by central lift and 24-hour assistance at the front desk, at your disposal. 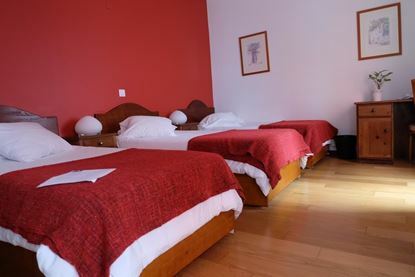 Located in the centre of Ponta Delgada, our hotel situated within easy access by foot to the historical and religious monuments, botanical gardens and other points of interest in the historic city centre. We are also close to many of the institutions important to visitors, such as the São Miguel Tourism Delegation, the headquarters of the Public Security Police (PSP), the Municipal/City Hall of Ponta Delgada, the Public Library and Regional Archive, as well as cultural institutions, such as the Carlos Machado Museum. 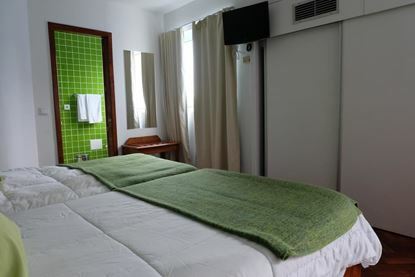 Situated in the city centre, the hotel is located 10 minutes by car from João Paulo II International Airport, our island gateway.